I thoroughly enjoyed working with Merryn Magazine for this #WriterWednesday author feature and interview. If you’ve got some spare time this evening, then please take a moment to read this post to find out more about me and Deception. If you love psychological thrillers, then my new novel, Deception: A Love of Lies, is the book for you! Get Deception on Kindle/eBook now. Want a fun read? Subscribe to Merryn Magazine. 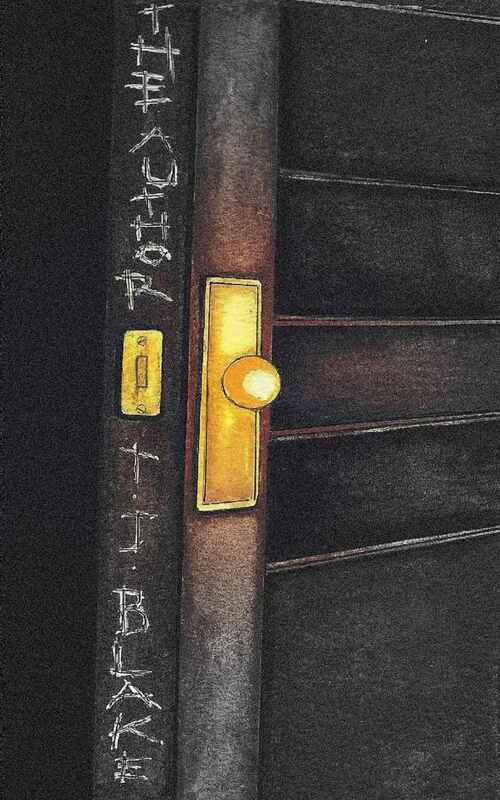 What is your latest book called and what is it about? 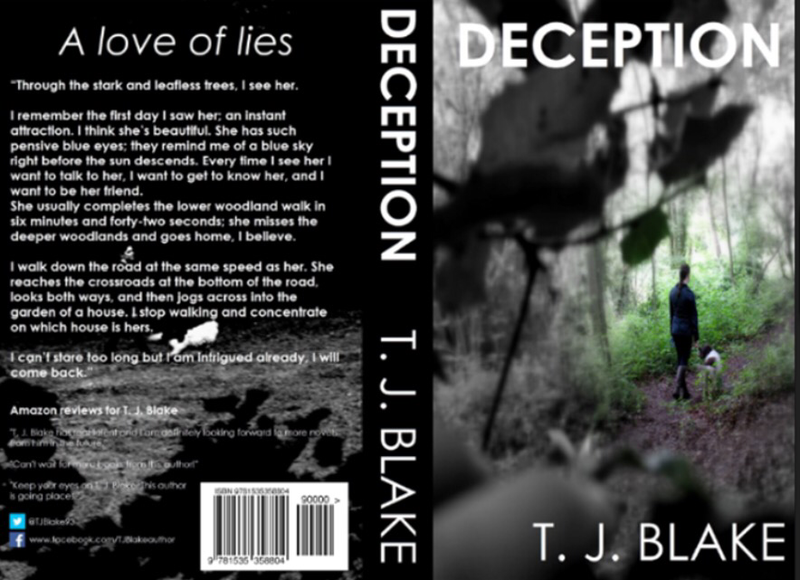 My latest book is called Deception – a love of lies, which is about a lonely man, his dog, his love for his woodlands, and a lady that has caught his eye during his daily dog walks. Billy and his dog, Ella, live in a bungalow on Lavingsham Close; a private estate in Surrey. Billy is someone who has lived in the Surrey area for all of his life; which means he has an undeniable love for the place, especially for the woodlands just behind his bungalow – where he walks Ella everyday. During his recent walks though, he has noticed an attractive woman walking her dog too in the woods. He likes the look of her, and really wants to get to know her. HERE is my author interview with Samantha LaFantasie on her blog. Check it out for details of my life, my latest book The Author and my future works. 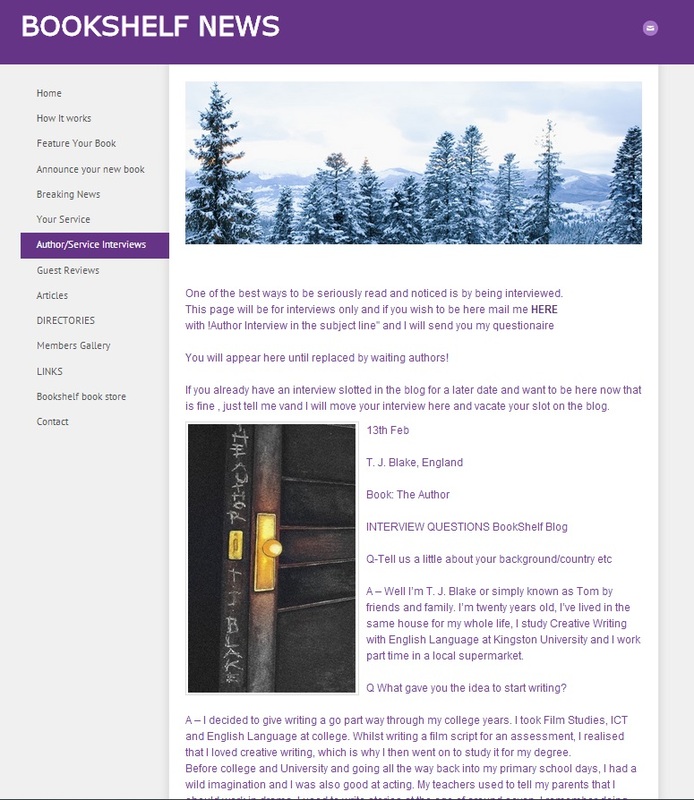 Here is my author interview with BOOKSHELF NEWS go and check out the page and of course my interview if you have some spare time. Don’t forget to check out The Author as well, available now on Amazon for paperback and Kindle. Here’s my author interview with Indie Author Land. And check out the Indie Author Land site whether you’re a writer or reader. 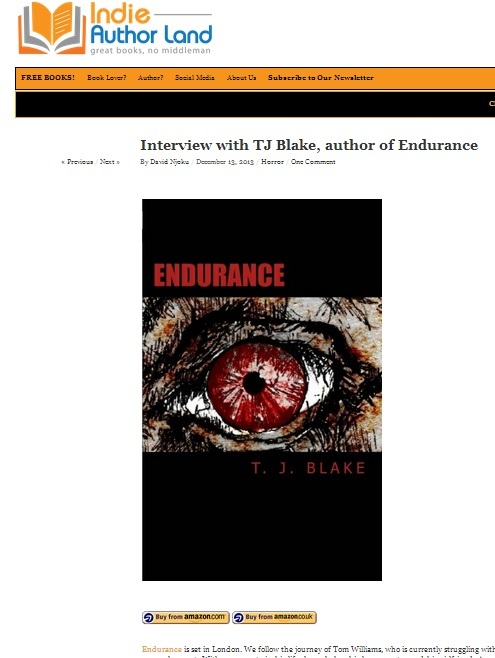 This is my first author interview. The interview was carried out by Words With Authors.